Make it work, make it easy. 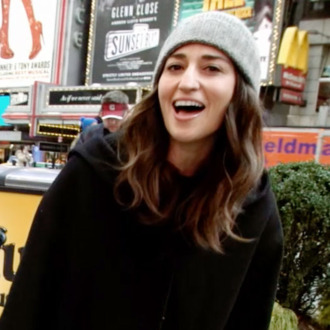 If you recently walked through Times Square and saw a woman in a beanie singing about pie, that may have been Sara Bareilles — though given how much happens in Times Square, it could certainly have been anyone else. In advance of her taking on the lead role in Waitress, Bareilles and the backing band from the show took to the city streets to perform “What Baking Can Do,” her character Jenna’s ode to the calming properties of sugar, butter, and flour.